There are two things that are important about shoe trees: They fit. They are absorbent. We cut ours from the original last that the shoes were made on so that they fit perfectly. They are made in super absorbent ‘Obeche’ wood, which is a very dry desert wood that can absorb some of the 2 litres of sweat that can leave a man’s body through his feet every day. Think of it as putting your shoes back on the last every night. 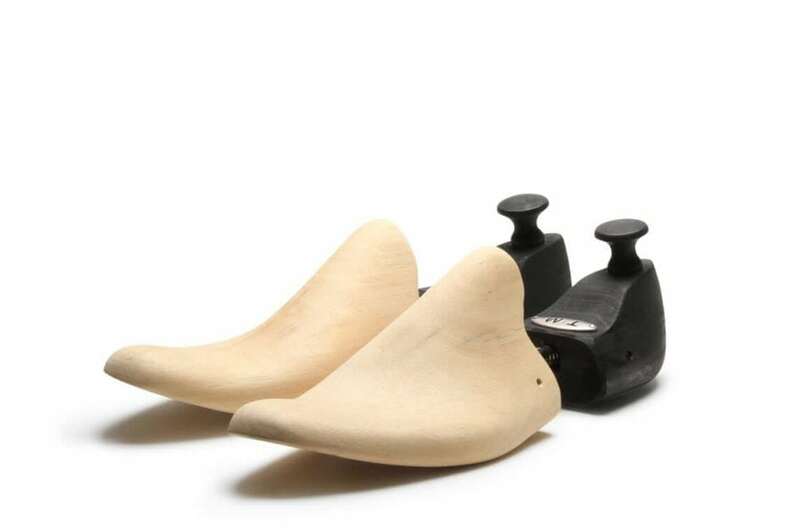 If you’re ordering shoe trees separately from a pair of shoes, remember to tell us which shoes you have and we’ll make sure you get the right trees to fit.